Unscrupulous ad networks and others bury tracking IDs in your browser like ticks under your virtual skin. Can you exterminate all their traces? Advertisers want to track us. We typically, but not exclusively, prefer not to be tracked. In the best case, we’re aware of the fact, and use opt-out policies and third-party add-ons to profess disinterest in, technically block, or otherwise delete unique codes or patterns designed to sniff our footprints across the Internet and assemble a dossier on us for marketers to more effectively target our interests. But I give advertisers too hard a time, when it’s really the behavior of advertising networks and other parties that create platforms on which ads are delivered or marketing data collected and then sold. The ecosystem of online advertising involves a lot of different specialized entities, and it would hard to say that, say, Nordstrom knows that some of its ads might appear on sites for reasons that involve violating our intent and possibly our privacy. Many advertisers don’t really know where their ads wind up, even. This should change: advertisers should have outside privacy and technology audits on the networks they use. The trouble for average folks is that there’s no simple way to defeat determined tracking systems. What you may know is that browser cookies, little persistent bits of text, can be sent by a website to your browser when you visit, and your browser stores it in a local cache. The next time you visit, your browser sends that cookie as part of the page request for every page on the site. This is how you stay logged in at sites where you have an account, and how site preferences can be stored on a per-browser basis without requiring an account at all. But that’s just the tip of the iceberg. Tracking firms of all kinds that lack a firm ethical compass, or merely shave the limits of legal and sensible behavior, employ evercookies and make use of supercookies that can’t be deleted or blocked with a few clicks. In this column, I’ll go into ways you can try to protect yourself and cleanse your system. Not every site that uses persistent respawning cookie technology makes use of every method to hide its network IDs, however. The more you scour, the more likely you are to remain less tracked or not tracked at all. The best step you can take is to employ private browsing modes in browsers that only store all sorts of locally cached data while a private session is active. As soon as you close all incognito windows or exit a private mode, all sorts of cookies get dumped along with the cache. In fact, the coiner of the term “evercookie,” Samy Kamkar, suggested when he released his proof of concept in 2010 that Safari’s private browsing mode prevented all evercookie methods from persisting at that time! But it’s not convenient to always use private browsing, because some of what you want to do requires persistent logins. A mix of private and regular windows may help, but you’re likely spend at least a good portion of your time using “public” browser. Since Kamkar released his discovery of the many paths by which evercookies can be deposited, some paths to leave traces have been closed down or are easier to disable, while others are even harder. At the most basic level, with above-board browser cookies, you can control how they’re retained and delete them in a straightforward way. I wrote earlier this year about disabling third-party cookies, which are often connected to ad networks. 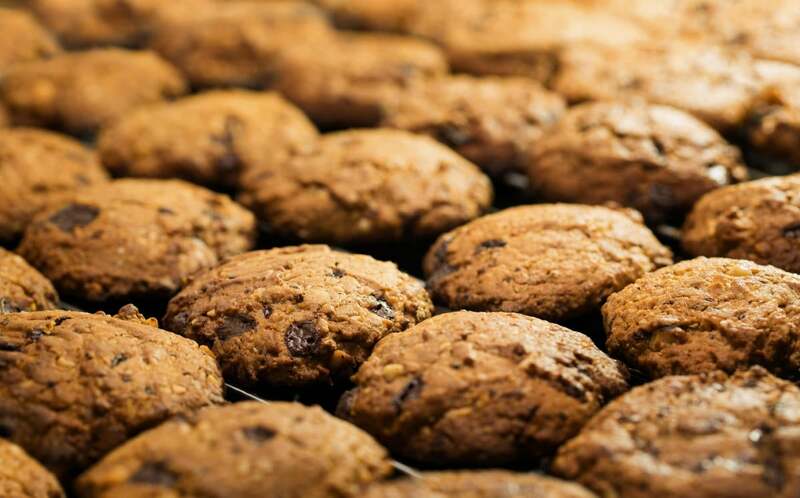 You can also drop into various places depending on browser and sweep cookies out, deleting them individually by site or name, or dumping all stored cookies. This helps with the most reputable ad technologies. Evercookies often rely on the two major streaming video browser plug-ins, Microsoft Silverlight and Adobe Flash. These plug-ins allow their own caching and storage, which can be used across sessions and even across browsers. Silverlight is still in use, and remains a requirement for some streaming video services, but you can typically uninstall it if you can’t find a current use. The decrepit and insecure Flash fell out of favor long ago, and its use is deprecated by browser makers. In macOS Sierra, Safari doesn’t load Flash by default and doesn’t even tell a Web server what kinds of multimedia technology it can display. If a site still tries to push Flash, you have to enable it with a click for one-time or continued use. Several other methods rely on browser caches and HTML5 storage mechanisms, which were designed to let Web apps more easily store information in a browser for the browser to act upon locally and even without an Internet connection. Safari for macOS lets you wipe history and other data, but you also need to use a developer option to dump all caches. Not all these elements can be deleted by a user, although routinely deleting your caches can help. In macOS with Safari, you’ve got two options: light and nuclear. For the “light” option, in Safari choose Safari > Clear History and select All History from the popup menu, and a huge number of items get wiped out, including visited pages and browser cookies. Wiping history deletes it across all linked iCloud accounts, too. The nuclear option requires enabling the Develop menu in Safari > Preferences > Advanced. Check Show Develop Menu in Menu Bar. From the Develop menu, choose Empty Caches. There’s no warning or going back once you select the item. This deletes all local storage, all browser cookies, and everything cached relatived to the Web browser. Close all tabs, nuking the caches, erasing history, quitting the browser, and relaunching revealed no evercookies hiding. But now I have to log back into every site I use routinely. With 1Password, that’s not hard, but it’s definitely a price you pay. And any offline storage usage by legitimate sites has been wiped out, too. In Safari, tap the Bookmarks button, then tap the Bookmarks tab, and tap History. Tap the Clear button at the bottom, and you can select a duration; tap All Time. Alternatively, you can use the Settings app. In Settings > Safari, tap Clear History and Website Data, and then tap Clear History and Data. It doesn’t offer a duration selector. 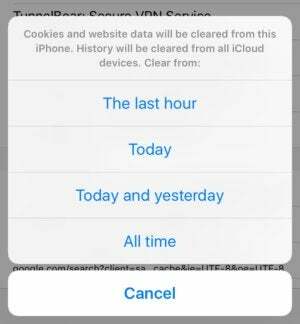 Erase cookies and website data from within Safari, but you can’t dump all the caches that might harbor evercookies. Because iOS doesn’t have an option to empty all caches, you’re at greater risk for evercookie tracking, which means it’s more sensible to use private browsing with sites and services with which you’re less familiar. Since Kamkar’s original post in 2010, over-crafty tracking firms have found other ways that may have a statistical chance of success in identifying you. Browser makers seem more concerned about these and have patched some of the ways in which private or browser-identifiable information leaks. Look! Down in the gutter! It’s a turd! It’s explained! The evercookie likes to respawn itself, but supercookies want to be unavoidable. At least two major Internet providers, AT&T and Verizon Wireless, inserted for a time a global identifier into users’ Web requests that allowed them to be tracked by their Internet account across everything. It was a terrible idea and badly implemented, because ad networks and malicious parties could uniquely ID customers and customer networks through an unchanging number. While both ISPs stopped using supercookies, there’s no prohibition against them. The issue was more disclosure and the issue of opting out of such tracking. For the former, you can use rent-a-VPN services, like TunnelBear and Cloak, which offer a variety of time- and data-based subscriptions that let you encrypt everything from your computer or iOS device past local networks out to a VPN server in a data center elsewhere on the Internet. Free VPNs, like the one from Opera Software, are also out there, but check on their privacy policies. It can be harder to ensure that you’re always on an https connection to a website, but it’s getting easier, and browsers will start signaling more forcefully when you’re not. Ever more websites have realized that even casual data reveals something about their users and that malicious parties may try to inject malware and other nonsense into their connection to a customer. On top of that, a project of the Electronic Frontier Foundation has made it free to obtain the digital certificates required for https. Browser makers like Apple could have more of an impact on tracking by offering these features. There’s no reason for evercookies to exist: when someone deletes a regular cookie, it’s intentional, and any attempt to circumvent that isn’t in the user’s interest. Right now, you have to employ the many techniques I note above, and we should have an option short of a nuclear one.